Electric vehicles—from cars, to scooters, to bikes—all feature fairly conservative designs. But that doesn't have to be the case, as the Marrs Cycles demonstrates with its beautiful M-1 e-bike that looks like a cross between an old style bicycle and a modern Harley Davidson chopper. With its smallest lithium battery pack the M-1 has a range of about 20 miles with a top speed of 20 mph. 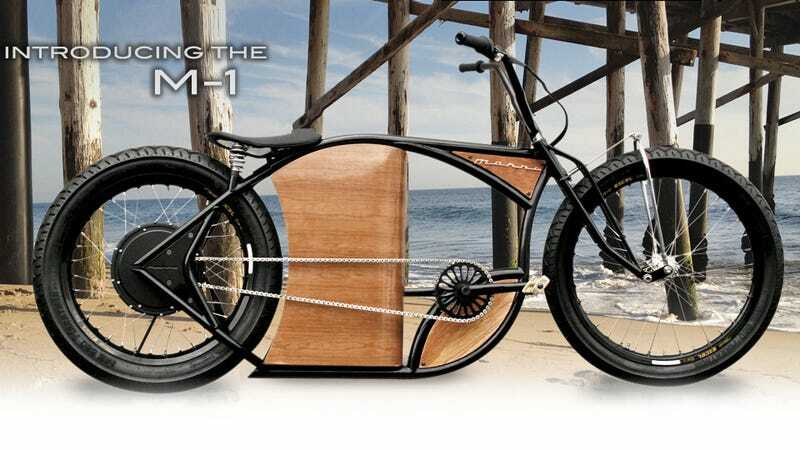 The bike could actually go faster than that, but it's hamstrung by US laws that limit the speeds of electric bicycles. And while the M-1 seems to be the perfect eco-friendly commuter, like the Segway, it's unfortunately burdened with an incredibly hefty price tag. The bikes start at $7,000 which can also get you a decent used car, so their popularity will probably be limited to eco-minded types with plenty of disposable income.